As a marketing leader, you’ve likely read your share of articles talking about how hard it is to measure marketing effectiveness. And while I agree that marketing performance measurement is not something a lot of marketers feel comfortable with, the truth is, with the right tools and processes, it doesn’t have to be as painful as most people think. In our 2017 Marketing Leadership Survey we uncovered some interesting insights around marketers’ perceptions of measurement and marketing ROI, which reveal that most marketers still struggle with measuring digital marketing effectiveness. 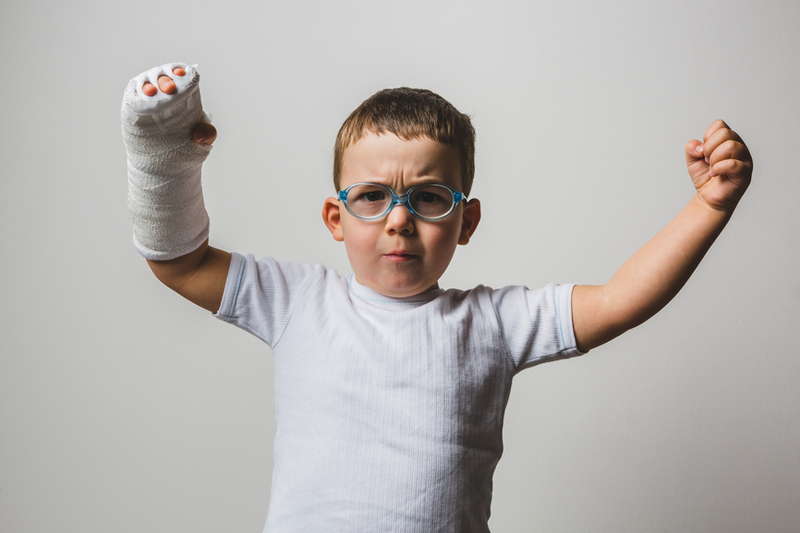 If you’re in the same boat, the tips in this article will have you on your way to proving your marketing value without losing your cool. 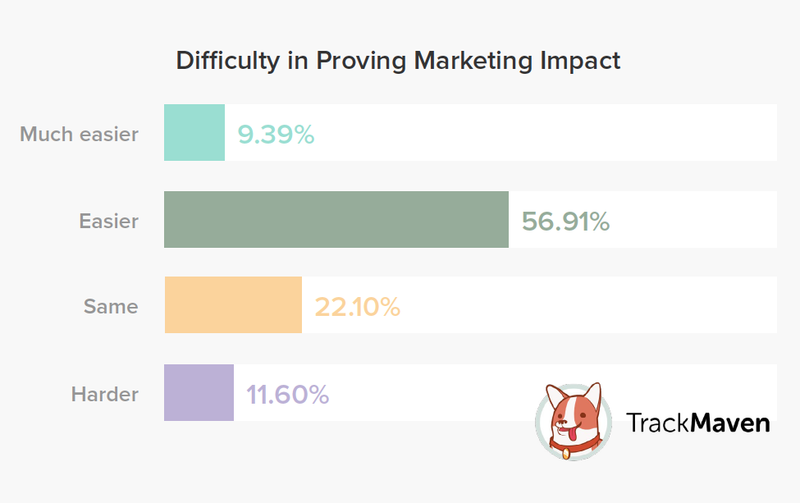 According to our leadership survey, 66 percent of marketers actually think it’s easier to prove the impact of marketing nowadays, but further exploration shows that they’re not making use of the tools and tactics necessary to demonstrate that impact in their own businesses. 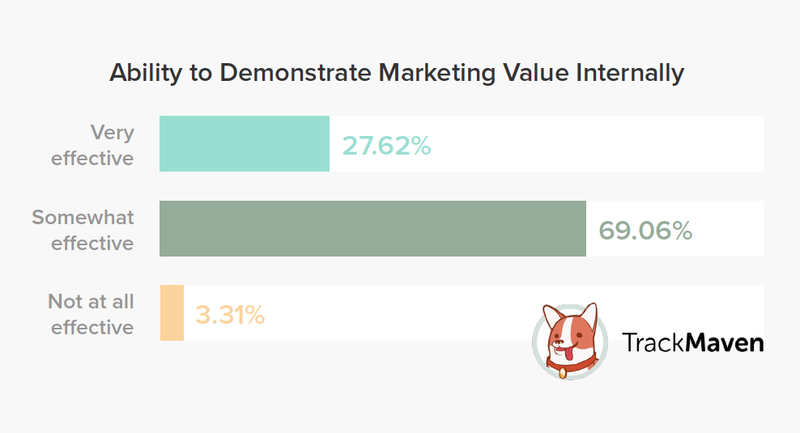 Consider this: Slightly less than 28 percent of marketers say they’re very effective at demonstrating the value of marketing, while 69 percent note they’re only somewhat effective. When it comes to measuring return on marketing investment, a whopping 71 percent say their top challenge is attributing social media and content marketing efforts to revenue. This is significant because we also found that marketers rank content performance measurement (65 percent) and social media analytics (60 percent) as the two most important components needed when measuring marketing effectiveness. So which metrics are today’s marketers using to prove value? Most (91 percent) are using engagement metrics such as likes, comments, shares and clicks. About 82 percent use consumption metrics like pageviews and downloads. The third most widely used metric is audience growth (78 percent), which looks at paid versus organic search traffic, share of voice and social shares or followers. One thing to note about the metrics currently used by marketers is the fact that those used most often aren’t tied to revenue — a major disconnect we found in our survey, as marketers prioritize increasing sales as a top goal. When looking at your own metrics, it’s important to keep your eye on revenue impact, including how content and social influence your marketing pipeline and revenue goals. Here are some metrics you should consider using to prove impact related to revenue. Most effective channels and mediums: Find out which channels and mediums are most effective in attracting new customers, including those most likely to convert. Be sure to look at channels like social, paid social, search, paid search, lead nurture programs, ads and events for a complete picture. Most effective campaigns: Track which campaigns are most effective at generating new opportunities, and converting both new and returning customers. You can get the full story by looking at conversions and opportunities influenced by campaign, source and medium. Lead generation: Find out how well your lead generation efforts are working by tracking the number of new leads and marketing opportunities brought in across all of your social, paid, ad and referral programs. Competitive benchmarking: Stay on top of how your competitors’ content is performing so you can shift your tactics if necessary. It’s best to get a full view of performance across your blog and all of your social media channels. 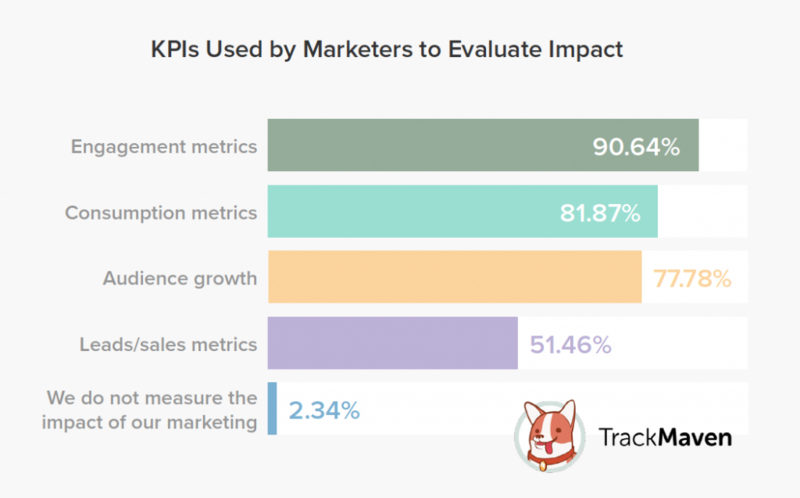 By making both your social media marketing effectiveness metrics and your content metrics available on one marketing dashboard, you can help everyone know exactly where they are in meeting their KPIs, while gaining a complete view of what’s working and what’s not across all of your marketing activity. The end goal of tracking marketing performance is to understand how much revenue your efforts are pulling in, so you can do more of what’s working, and less of what’s not. In addition to calculating revenue, there are several ways you can calculate marketing ROI when measuring marketing effectiveness, including gauging your spending efficiency, proving brand ROI and assessing customer lifetime value. Marketing revenue: In order to prove the value of marketing to your fellow executives, you’ll need to show how much revenue your group is generating for the business as a whole. To do this you can use revenue attribution models to track marketing-influenced revenue as a percentage of the company’s total revenue. Spending efficiency: To understand how efficient your marketing investments are, take the average cost of customer acquisition vs. your average spend on marketing efforts per customer. If the number isn’t what you expect, it’s time to adjust your strategies accordingly. Brand ROI: This article gives you all the details for how to prove brand ROI, but in a nutshell, you can demonstrate the ROI of branding activity by creating and tracking goals around conversions, opportunities, purchases and revenue from both direct and referral traffic. You can also use social attribution to show how social engagement and community building impact the bottom line. Customer lifetime value (CLV): This metric gets to the heart of revenue and ROI by predicting how much value a customer will bring to your company over the course of the entire relationship. By knowing your CLV, you can better estimate costs associated with acquiring and keeping customers so you can better demonstrate marketing’s contribution to growth over time. Understanding how your content and social performance compares to that of your competitors is an important way to know how effective your strategies are for reaching your target audience. With so much data out there, it’s hard to know the best way to go about your competitive analysis, but at TrackMaven, we’ve done much of the heavy lifting for you. Start by getting a broad view of industry performance. 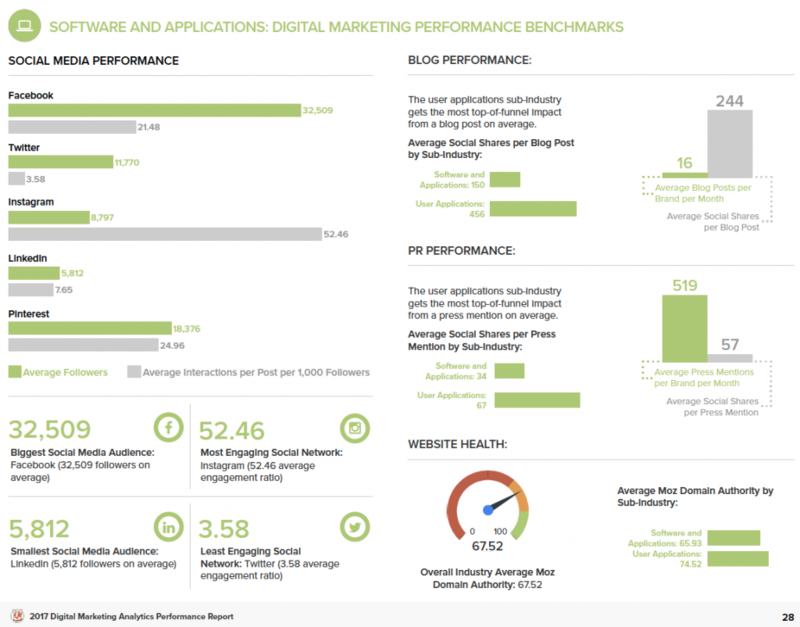 Our Digital Marketing Analytics Performance Report is a great source for this, as we’ve broken down performance of social, blog, website health and PR across 13 industries and 39 sub-industries. The data shows where businesses in this industry can expect to get the largest social media audience (Facebook), and the most engagement (Instagram). They can also find out how blogs typically perform, the impact of press mentions, and the average website health of the industry. Once you’ve gotten the lay of the land, you can then drill down into specific competitor performance around content and social. TrackMaven’s marketing analytics platform makes this easy by providing a breakdown of competitor performance against your key metrics, which could include audience growth, content distribution, content engagement or share of interactions. You can also get insights into how specific competitor posts are performing so that you can be sure you’re focusing your efforts on the right topics and channels to reach your audience. As you can see, measuring marketing effectiveness isn’t as mysterious as many people think. With a clear picture of your goals, the right metrics to support those goals, and a little help from technology, proving the value of marketing is definitely within your reach. To find out about more about how today’s marketing leaders are measuring marketing effectiveness, download your free copy of the 2017 Marketing Leadership Survey today.